Voting Guide – A Reference Document to make sure your Vote Counts! Who is the Liberal Crab??? Well here we are, the eve of the election and the final Poll of “Poll of Polls”. The final popular vote total is 51.5% for Obama and 44.7% for McCain, giving Obama a 6.8% poll lead going into the election tomorrow. Oddly, after analyzing the remaining undecideds and adding the Barr/Nadar/Paul third party factor, my final prediction is – 51.5% Obama, 44.6% McCain, 3.9% third parties. Am I saying the remaining ‘undecideds’ in my poll are actually voting third party? No. I actually gave McCain 62% of the 3.9% of undecideds, based on his performance with them in recent days. However, he is impacted by about 1% more by the third party candidates based on my analysis of 2-way and 3-way polls. As a result, the final prediction matches the final Poll of “Poll of Polls”. There was some odd things going on with the national tracking polls. Despite the pretty radical differences in each of them over the last few days, they all ended up centering between 5-9 points. There are some games the pollsters can play to make the results trend to the mean such as changing party ID. However, the important point is that the pollsters who have a stronger reputation – Rasmussen and Gallup, utilizing their ‘traditional’ belief in who makes up a likey voter still has Obama with a comfortable 5-6 point lead (and some even larger). My analysis was based on several factors. First, the latest polling trends. Second, only including pollsters with good reputations. Third, past voting trends in the state. Fourth, level of support for the candidate above/below 50%. Fifth, a general thought on the GOTV efforts in the state. Florida has been trending back to McCain. Ohio was on the edge. It’s been trending back, slightly to Obama. It’s close enough that if there is any impact from Palin’s ‘coal’ comments today, I could see that pushing it over to McCain. Regardless, it’s within the margin of error and a state the Democrats have previously lost twice. Missouri is close, but the GOTV efforts by Obama, I think, will make a considerable difference for Obama. Colorado and Nevada show strong trends toward Obama. Virginia appears to have stabilized out at about 4-5 points. Obama should be able to hold that lead. More to come about what to look for tomorrow, as well as additional analysis. McCain and Obama both gained in the polls today, but McCain’s gain was slightly better, but nothing that changes the dynamic of the race. The biggest change, and one that is extremely positive for Obama, is that undecideds dropped by 1% since yesterday. The drop went 45% to Obama and 55% to McCain. If you extrapolate that across the remaining undecideds, McCain would pick up a net gain of only .5%. Accounting for all voters and using the algorithm just described, the vote total would be Obama 52.8% and McCain 47.1%. That would still give Obama a 5.7% margin of victory. However, Bob Barr and Ralph Nader will take votes away. The analysis from reviewing Real Clear Politics from about a week ago, would take about 2% from Obama and 3% from McCain. My best guess for election night, based on the latest information is – Obama 50.8%, McCain 44.1%. That would give Obama a 6.7% win margin. That is a significant win. Keep in mind, if there is still a Bradley Effect, the pundits believe it would be a 2-6% effect. Obama’s win margin would still be above that number. Interesting, and perhaps giving credence to my current projection, this is about where the race stands right now. Obama right at the 50% threshold and McCain still not breaking through the 46% ceiling. Just for the heck of it, there are two days left – McCain needs to make up 3% per day to close the gap. But that’s the popular vote. It really doesn’t matter. What matters is the Electoral College. Depending how you define ‘tightening’, there may or may not be tightening in the Electoral College. If you consider tightening states changing columns (e.g. from Obama to McCain or Toss-up), there hasn’t been any tightening. If you consider tightening races getting closer, then there has been some tightening in Pennsylvania. The state is still strong for Obama, but McCain has definitely made inroads and perhaps cutting Obama’s lead in half in the last week. The good news is the state is strong for Obama and, if it took a week to get this close, he should still win it relatively easily. The bad news could be if the polls are even a little tighter than they’ve been projected. 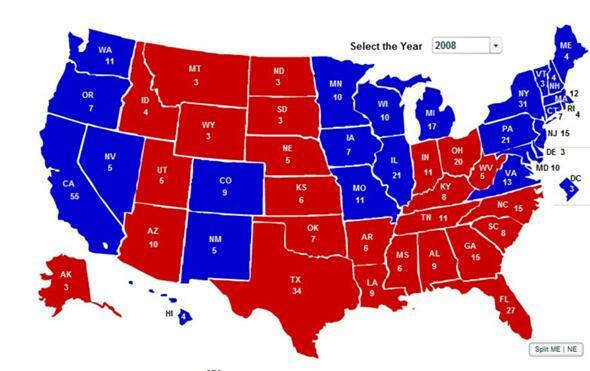 Keep in mind, in the Real Clear Politics final poll for 2004 Obama was up .9% and won by 2.5%. Obama is up in their poll by 7.5% Pennsylvania is polled every day so these results are current. It’s very difficult to see how he’ll cut that lead close enough to make a difference in two days. Now the real good news? McCain still needs to win the following states, even with Pennsylvania (Obama’s lead follows each state): Florida (+4.1%), North Carolina (+1.3%), Ohio (+5.6%), and Colorado (+6.2%). Those are very tough odds. If he loses Pennsylvania, I believe it’s over. If he loses Pennsylvania and Virginia (+6.0), it is over. Keep in mind, he still needs to win a host of other states where they are still considered ‘toss-ups’ – Indiana (-.5%) and Missouri (-.6%). There also a couple of states that are ‘leaning’ McCain, but McCain’s lead is still smaller than Obama’s in the States McCain is trying to win – Georgia (-3%), Montana (-3.8%), Arizona (-3.5%). My best guess for election night, based on the latest information is – Obama 338 McCain 200. Although, my brain and my heart are telling me that Obama will not win both Ohio and Florida. So, I believe Obama’s range will be 311 to 338. The last two lingering item is how Obama’s Aunt story plays out and the final smear assult. There are vastly different opinions on the Aunt story, ranging from no effect, effecting Obama, to even effecting McCain (if GOP is implicated). This story appears it might be even more dangerous to McCain, judging by the fact his campaign will not mention it. As for the smears, it probably will affect those with a choice by a minimal amount and a little more with the undecideds. I can’t imagine that it will shift the election more than 2%.